O’Boyle will describe her decade-long relationship with the most admired woman of the 20th century at the upcoming 5th annual Boston Catholic Women’s Conference (BCWC), scheduled for Saturday, Feb. 27 at the Cathedral of the Holy Cross in Boston. O’Boyle’s presentation will draw from her latest book, “Mother Teresa and Me: Ten Years of Friendship.” The humble nun always encouraged O’Boyle to keep writing, speaking and taping TV spots about mothers, women, and families. 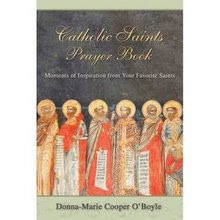 She wrote the foreword to O’Boyle’s book “Prayerfully Expecting: A Nine Month Novena for Mothers-To-Be” as well as back-cover endorsements for her other works. While Mother Teresa was alive the two women communicated through the telephone, letters and personal meetings, but even after her mentor’s passing, O’Boyle senses that they are still connected. “I do feel that Mother Teresa is watching over me and my family and that To see the continuation of the article, please click here. Mark 4: 1-20: "What kind of soil are you?" 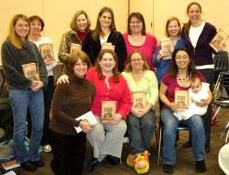 Here's a lovely bunch of women who are studying The Domestic Church: Room by Room: A Mother's Study Guide. They are the ARCH Homeschooling Support Group located in the Winston-Salem area of North Carolina (some were missing from this photo). God bless you ladies as you share your faith in the study of your vocation of Catholic motherhood and Church teaching! I'm praying for you! I've been just so busy in my "domestic church" here that I don't have time to write about it! 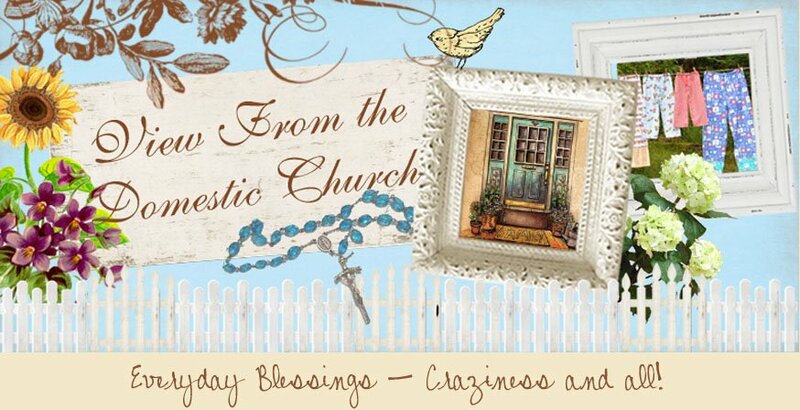 I hope you are having a BLESSED day and I shall "chat" with you soon! I have been curious about Mother Teresa over the years but was skeptical about the biographies that have been written about her. I like reading about the real person in biographies. So, when I was given the opportunity to read and review Mother Teresa and Me by Donna-Marie Cooper O’Boyle, I took it. As I read Mother Teresa and Me, I kept feeling as though I was receiving a special gift. 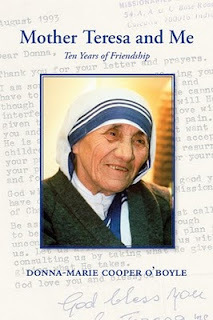 Donna-Marie expressed her gift of friendship with Mother Teresa so beautifully, that I had to reread the entire book. I believe that anyone who reads this book will be graced like I have, as well as learn about prayers in action and leading by example. I recommend Mother Teresa and Me to all who are interested in Mother Teresa, prayer, and receiving the gift of peace. This review was written as part of the Catholic Book Reviewer program from The Catholic Company. Visit The Catholic Company to find more information on Mother Teresa and Me . You can see this review here. 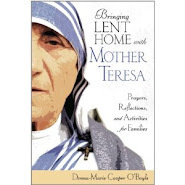 "Quite honestly, I couldn’t put this book down" A Review of "Mother Teresa and Me"
"When her mother Louise was dying, my mother-in-law Lori prayed for a sign that Our Lady was close. "The night Grandma Louise passed away, a woman from hospice came to give her a bath. When she saw Lori’s Miraculous Medal, she grabbed it and kissed it, mentioning that she had just given hers away to another patient. We were able to give her another– which she proclaimed to be just like the one she had given away. 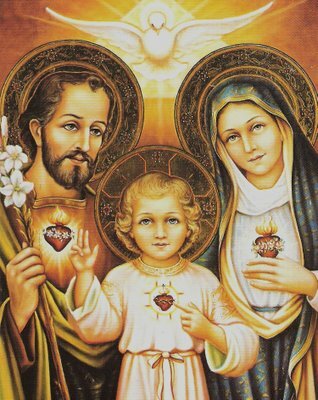 "The woman lovingly cared for Grandma Louise and then passed out prayer cards with the Divine Mercy image and chaplet. She even prayed the chaplet with the family. It wasn’t until several days later that Lori realized this woman had been her sign of the Blessed Mother’s presence. The woman’s name– of course– was Maria. 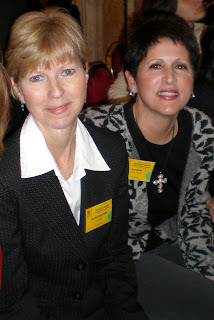 "Reading Mother Teresa and Me, by Donna-Marie Cooper O’Boyle, I was reminded again of this beautiful hospice worker. For our family, this woman was a tangible reminder of God’s tender care and loving presence. Mother Teresa was that reminder for the majority of the world. "As Donna-Marie so poignantly expresses, there is something profoundly important about personal connection; and Mother Teresa is the model of this kind of love for our time. "Donna-Marie explains how she met Mother Teresa and shares glimpses of the relationship that developed. She provides excerpts from personal correspondence as well as bits of the spiritual direction she was so blessed to receive from Blessed Teresa of Calcutta. And she shares how Mother Teresa’s example awakened her to a new understanding of Jesus’ call to love Him in the Eucharist and in the poor– those in our families, our communities, and around the world. "Quite honestly, I couldn’t put this book down. Donna-Marie’s easy writing style drew me in. Sprinkled with quotes from Mother Teresa and developing Donna-Marie’s own unique spiritual journey, each chapter flowed naturally in to the next. I was captivated by this personal connection with both Mother Teresa and Donna-Marie. I felt I grew spiritually from encountering Mother Teresa’s model of love and self-gift, and I was grateful for Donna-Marie’s humble relating of her own personal struggles and sufferings. Both witnessed to the love that Jesus has for us, the way He longs to use us to care for each other, and the way he blesses us when we place our trust entirely in Him. 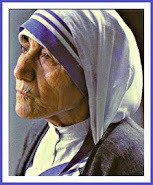 "Mother Teresa’s example urges us to love God in each other. If we’ve ever encountered someone who lives out this model of service, like the hospice worker who blessed our family, we feel instinctively the close presence of God. 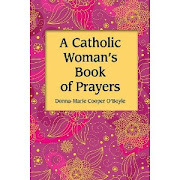 This lovely book inspires us to this kind of generous prayer and loving service. 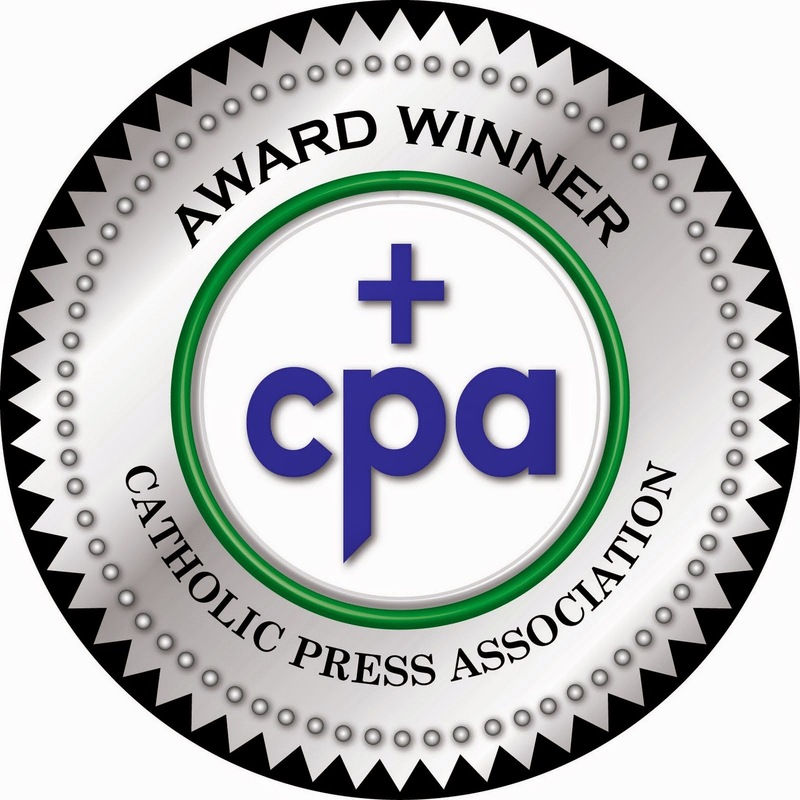 "This review was written for The Catholic Company and I received a product sample for this purpose. Because I also received a copy of the book from Catholic Word, for review purposes, I have one to give away to a reader! "If you’d like to win a copy of this book, leave a comment on this post by Thursday, 1/28/2010 at 11:00 PM CST. Winner will be randomly selected." Go on over to Anne's blog to enter her contest. Coming soon! The Handbook For Catholic Moms! I am a very honored contributor of The Handbook for Catholic Moms. You'll see a sidebar from me inside. 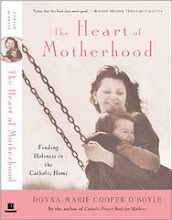 Here's my endorsement for this wonderful book: Lisa Hendey is the sister friend of Catholic motherhood! We know her so well through her work for families, her website: Catholic Mom and her engaging podcasts. She now brings us her book: The Handbook for Catholic Moms; Nurturing Your Heart, Body Mind, & Soul in which Lisa openly discusses the essential elements of a Catholic Mom’s life in an exceptionally delightful, engaging, dynamic, and practical manner. You’ll be turning pages and feeling as if Lisa is there by your side lovingly offering her insight and warm encouragement. You’re going to love this book! Watch for my review of this book coming up in the National Catholic Regiser. The Catholic Company - here. Barnes & Noble - here. Aquinas and More - here. "Pray with your whole being even though you think it has no savor for you. For such prayer is very profitable even though you feel nothing, though you see nothing, even though it seems impossible to you. It is in dryness and barrenness, in sickness and feebleness that your prayer is most pleasing to me, even though you think that it has little savor for you." MARY-EILEEN: Donna, as someone who was born and raised Catholic, can you describe some of the influences in your childhood which made an impression on you and helped you to persevere in the faith at a time when many of your generation were leaving the Church? DONNA: Thank you for this interview, Mary-Eileen. To answer your question, I was very influenced by my mother and her mother (my grandmother) growing up. They kept me grounded in the faith. My other grandparents were deceased by the time I was born. Of course, my father helped with our formation too, but my mother spent all of her time with her eight children and made sure we stayed on the straight and narrow while my father worked endless hours to support us. My mother prayed the Rosary with us growing up and my grandmother had many sacred images around her home. She also loved Pope John Paul II so much and had his picture everywhere in her home. She was Polish, after all! So, every time we visited her, we saw all of those images, pictures, and religious items all around her home. I’m sure it had a powerful effect on me – it has certainly stayed with me. MARY-EILEEN: Your meeting with Blessed Mother Teresa, as you describe in your new book, was nothing short of providential. Can you talk a little about where you were in your spiritual journey at that time and how the meeting with one of the greatest saints of the 20th century came at just the right moment in your life? DONNA: God certainly had a plan. I couldn’t have planned any of it myself if I wanted to! But, as you say, the meeting certainly must have come at the exact time that God wanted it to. Of course, I never imagined anything was going to unfold from our first meeting. How could I? I merely took it all in and thanked God for it and then afterward, I continued on my way through the trenches of everyday motherhood and all it entailed. I have recounted how my life unfolded after meeting her in this book. MARY-EILEEN: One of the things that struck me when reading your book is the connection between the spiritual motherhood of a nun like Blessed Teresa and the biological motherhood of a Christian wife and mother, like yourself. Can you tell us how the spiritual guidance of the saint helped you to deepen your own understanding and commitment to your vocation? DONNA: That’s a good question. I did see similarities between our vocations. I do talk about that in my book and actually in some of my other books too. I like to weave Mother Teresa’s wisdom throughout my writings to help inspire others. Mother Teresa was never a biological mother, of course. However, she mothered the world, really. She became a mother to us all. Mother Teresa’s spiritual guidance helped me profoundly. I couldn’t even begin to express it. Her letters and conversations with me when we were together and over the phone too were always just what I needed to hear. I took all of the blessings straight to my heart and applied them to my life. I feel that our good Lord would like me to share the blessings with others and that’s what I try to do in my book: Mother Teresa and Me as well as in my other books. MARY-EILEEN: It has become obvious that motherhood has become denigrated in our society. I think that books like yours, not only the new one but your past works, are helping to rebuild the sense of dignity that once belonged to Christian mothers. Do you think that there is a connection with Mother Teresa’s menial work with the poorest of the poor and the mundane tasks that are the lot of most mothers? Yes, there is a connection with Mother Teresa’s “menial” work among the poor (and you’ll read examples of this in my book) and the “mundane” tasks of mothers. The secret to sanctity and to true happiness is in seeing that these little acts of loving service are huge in God’s eyes. Many of the saints, including St Therese of Lisieux have spoken about the little things. I write about it a great deal. 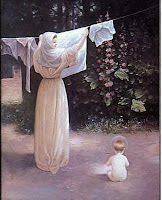 It’s those little things when done lovingly and devotedly that actually open the gates of Heaven for us and others! MARY-EILEEN: Donna, you are a Lay Missionary of Charity. Could you explain what belonging to that confraternity entails and how it enhances your vocation as a wife and mother? DONNA: Yes, sure I will. Being a Lay Missionary of Charity is not being part of a confraternity. It is being a part of a Religious Order. It’s like a Third Order. It’s a call to holiness in the lay life, just as any other Third Order is. But the charism of this lay Order is one of seeing Jesus in everyone we meet which is really what every Christian is called to do anyway. To answer your question regarding how being a lay Missionary of Charity enhances my vocation as a wife and mother, it’s the understanding of the call to holiness and the awareness that God is sanctifying my vocation as I give it all to Him. Of course, any prayerful person can achieve sanctification in their family, by God’s grace without being a member of a Third Order or a Lay Missionary of Charity. However, being a part of an Order has the benefit of graces attached to it, especially from the founder’s intercession, in this case. MARY-EILEEN: You have had the rare privilege of corresponding with a living saint, living in your lifetime, that is. Donna, can you discuss the reality of being with a saint, and becoming close to a saint, as compared to the false view of saints that many people have? I sense that some Catholics regard saints, especially saintly nuns, as being unapproachable and remote. Please tell us how this is not at all true! Saints were real people like you and me – all differing personalities and each possessing unique gifts. What makes them saintly is their desire to follow the will of God completely with full surrender. That’s what I saw in Mother Teresa, her full surrender to God’s holy will in her life. She wanted to satiate His thirst for souls. She has told us that we are all called to holiness and that “it is not a luxury for a few, but a duty for us all.” In all of our walks of life, we are called to be saints too. That’s what I try to get across in my book: Mother Teresa and Me. Visit to see the interview. Did you hear about the Tylenol Recall? A complete list is here. "When I started reading this book, I was so excited to share with our readers about it that I stopped in the middle and created a preview review of this amazing book. "Then I was off to finishing this book and couldn't help it and just had to finish the book; I couldn't put it down again! The author gives you an different view of the real Blessed Mother Teresa by sharing personal letters that she sent her as well as quoting her through various conversations they had over the phone or in person. I've always been drawn, from an early age, to service to others. I've gone to "extremes" and worked in soup kitchens or volunteered at orphanages in the past. Since starting my own family, I haven't been able to do these "extreme" works of mercy and felt bad because of it. After reading this book I realized that as mothers, we have to server those around us and also that food isn't always what others need. 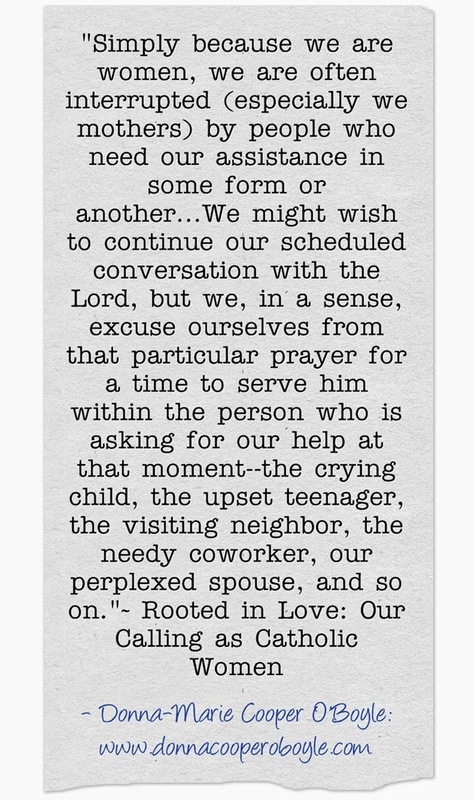 There are people around us all the time that need time, love and compassion, as well as our prayers! Starvation isn't always related to food and nourishment, it also has to do with being and feeling wanted, needed, and loved! How many times do we treat someone in our own families poorly because they "bother us"? "On this note, I've gotten to meditating on the idea that those people that you and I might not like, Jesus and Mary LOVE them as much as he loves you and me! What a concept! If we keep this in mind every time we come across people in our own families that "drive us nuts", "get on our nerves or under our skin", just think, "but Jesus loves them, so why shouldn't I?" I'm certain there are times when you and I do things that make you wonder who would love us after they knew our worse sins. The beautiful aspect of being Catholic is that our Lord gave us the amazing Sacrament of Reconciliation and since He loves us he forgives us, so why not do the same for those around us? As, the author states in her book, there is a Calcutta all over the world. "Another thing that stayed with me from this book is that we constantly make excuses for not serving others or doing more for our own faith. We say things like, "If only I had more money to share", "If I had more time", "If I had more energy"....we waste so much precious time with "Ifs" and not doing enough for our own family members! God has placed you were you are for a reason, he didn't give you more money, time, energy, etc., because He has sent you what you need for the mission He wants you to endure! "This book has been a wake up call for me in so many aspects of my life as a mother, a wife, a sister, a daughter, etc.. Instead of waking up each morning and wishing I had more of this or that, now I wake up and ask, "Okay Lord, what do you need from me today?" "Thank you, Donna-Marie, for writing this marvelous book! It truly has been like a mini retreat for me; one which I will definitely turn to in a couple of months because this is the kind of book you'll want to read again and again! 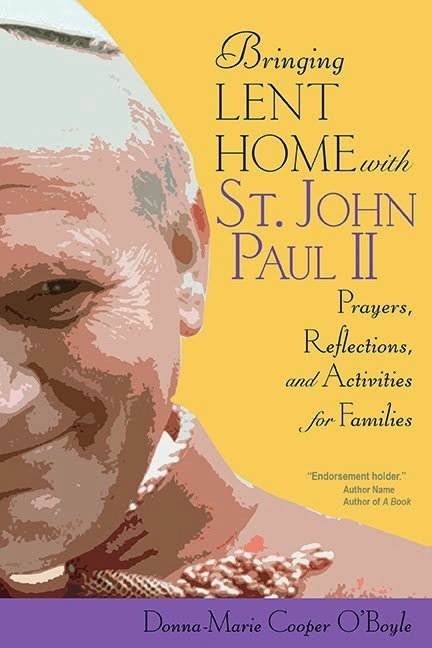 "This review was written as part of the Catholic book Reviewer program from The Catholic Company. Visit The Catholic Company to find more information on Mother Teresa and Me." Visit the lovely woman who wrote this review here. I think it's time for another book give-away contest. What do you think? If you would like to win a copy of my latest book: Mother Teresa and Me: Ten years of Friendship, just leave a comment below telling me why you would like to win this book. All entries will be put into a drawing and a winner will be chosen on January 31st. My son Joseph is embarking upon a very big adventure tonight! He's on his way to Paris, France to study abroad for the semester! Please say a prayer for him for his safety in traveling and while he's there. I'll miss him very much, but of course I am so excited for him at the same time. 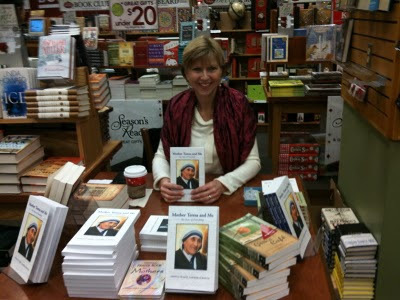 From a recent book signing at Borders for my newest book: Mother Teresa and Me: Ten Years of Friendship. I've been down with the flu here and recently put a message on Face Book about gathering together to have a cup of "cyber" tea while praying for one another. Face Book friends responded and loved the idea. I then made another suggestion and I'd like to put it out here for all of you too. I said, "Okay, here's the thought I woke up to this morning. 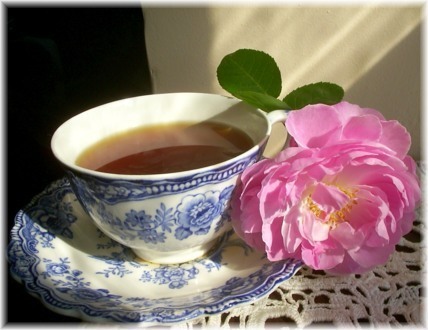 Everyone who visited here (that was on Face Book) for "Cyber" tea is being asked by me to send some love, tea, and sympathy to someone, anyone. This will NOT be cyber tea. I'd ask that you take an actual tea bag, any kind and put it in a sweet note that you will send in the mail to someone who can use a little cheering up or someone you admire or someone who you get the sense could use a warm note and a chance to sit down, put his or her feet up and enjoy a cup of tea. Perhaps you'll write that in your note - suggest that he or she take out a few moments to wrap their hands around a hot cup of tea and savor the moments with their feet up and possibly even ponder and pray. Of course, you don't want to force your Christianity on the person with directions to pray while drinking the cup of tea. But you know who you can say that to and who you maybe should not (but you will pray for that person!) Imagine their delight when they open up their mail and find a sweet note and even the thought of sitting down to that cup of tea. Mother Teresa always said that it's the simple things, a smile, a kind word, etc. These kinds of things work wonders, by God's grace. So, if you feel inspired to send a cup of sympathy to someone, please do! St. Elizabeth Ann Seton, pray for us! "Live simply, so that all may simply live." "Soooo....I opened the book Mother Teresa and Me: Ten Years of Friendship by Donna-Marie Cooper-O'Boyle on Saturday morning and I COULD NOT put it down!!! I walked around with it all day, lol! Every second I could sit and read, I did (while watching my lovely 4 children, of course)...I got to Chapter 7! Stopped for the day and Sunday to let it all sink in, I have one word to describe how I feel after reading thus far, "WOW!" I also noticed something that was definitely from God, total inner peace...no matter how nutty things got with the kids, I was SUPER calm (not the way I normally handle things, lol). Hence, the kids reacted back the same way, it was so sweet and lovely to have this little interaction! "In a world of fiercely guarded corporate names and logos, it should be easy to understand this feast. The letters IHS are an abbreviation of Jesous, the Greek name for Jesus. "Although St. Paul might claim credit for promoting devotion to the Holy Name because Paul wrote in Philippians that God the Father gave Christ Jesus “that name that is above every name” (see 2:9), this devotion became popular because of 12th-century Cistercian monks and nuns but especially through the preaching of St. Bernardine of Siena, a 15th-century Franciscan. "Bernardine used devotion to the Holy Name of Jesus as a way of overcoming bitter and often bloody class struggles and family rivalries or vendettas in Italian city-states. The devotion grew, partly because of Franciscan and Dominican preachers. It spread even more widely after the Jesuits began promoting it in the 16th century. Happy birthday to St. Therese! "You cannot be half a saint. You must be a whole saint or no saint at all." Happy New Year and beautiful feast day! I am trying to catch up a bit here. I've been down with the flu and still trying to get over it. I've been posting little messages to Face Book when I can but haven't had time or energy to post on my blogs much. I just heard the other day that I was noted as one of the top ten fascinating Catholics of 2009. Who me??? You can check that out here. I will be speaking at the Boston Women's Conference in February. You can check that out here. More news soon. God bless your first day of the New Year! Happy feast of our Blessed Mother!